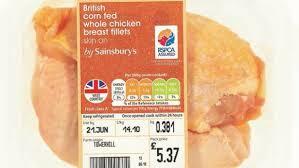 UK – A new ethical food label assured by the RSPCA has been launched in a bid to help improve the lives of a further 100 million farm animals, plus many millions of farmed salmon and trout, in the next five years. 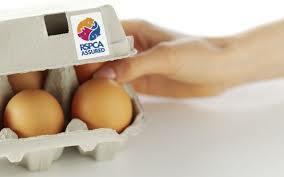 The RSPCA Assured label replaces the RSPCA’s Freedom Food mark on eggs, meat, dairy products and fish sold in supermarkets and shops throughout the UK. The new label makes it easy to find products from animals that have had a better life. RSPCA Assured means the product has come from a farm inspected to the RSPCA’s higher welfare standards – whether it is an indoor, outdoor, organic or free range farm. These standards include, for example, giving animals plenty of space to move around, natural light and things to do such as straw bales for chickens to peck at or straw for pigs to root around in. “About one thousand million animals are farmed for food each year in the UK and we are concerned that the welfare of many of them needs to be improved. “Whilst many millions of animals have already benefitted from being farmed to the RSPCA’s welfare standards, under the RSPCA’s Freedom Food logo, the new RSPCA Assured label aims to really boost this number. And, according to the charity, the move to the RSPCA Assured label also has the potential to significantly increase the amount of labelled products available in shops and supermarkets. Jeremy Cooper, chief executive of the RSPCA Assured scheme, commented: “Ninety-six per cent of people recognise the RSPCA brand, compared to 24 per cent for Freedom Food. “Greater recognition of the new label means more people will choose RSPCA Assured products. We estimate the amount of RSPCA Assured labelled food could increase by as much as 200 per cent in the next five years. RSPCA Assured products are being rolled out into Sainsbury’s, Aldi, The Co-operative and Lidl this month. And the new label will continue replacing the Freedom Food label on products in supermarkets and shops over the next 12 months.